The Billingslea boys, Joshua, 11, Isaiah, 9, Caleb, 7 and Micah, 5 are better known as the Yummy Brothers. 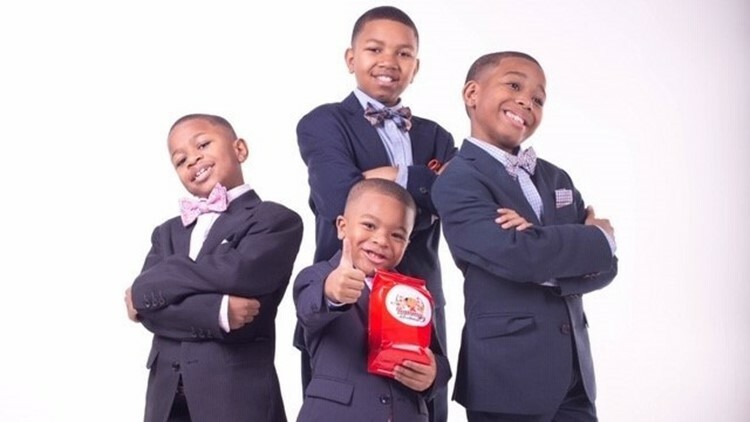 ATLANTA — Four brothers, all under the age of 11, are baking their way into a cookie empire. First off, if you clicked on this, you already know those boys are ridiculously adorable. 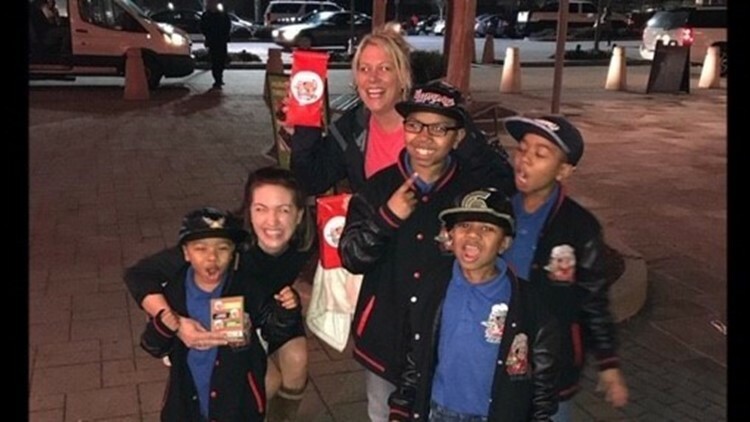 The Billingslea boys, better known as Joshua, 11, Isaiah, 9, Caleb, 7 and Micah, 5 are better known as the Yummy Brothers. For two years, they’ve been mixing, pouring, scooping and selling their great-grandmother’s cookie recipe. The delicious idea, started with them taking their cookies everywhere. The name was simple - they’re brothers, and people bragged about how yummy the cookies were. And here's lots of flavors to choose from. No matter the age, each brother has an important role in the business and are treated as equals. But, each of them have their favorite part of the cookie making process. “Scooping the cookies," is Caleb's favorite. And quality control - or the taste test - is Micah's favorite. Yummy Brothers ship nationwide, but the four still go around their communities to events, selling the baked goods. And while, selling cookies is serious business for the young "brother-preneurs," education is still first and foremost. "When we bake them and sell them is usually on the weekends," they explained. Their super-supportive parents make sure their homework is all wrapped up before they start packing away their cookies. "We don’t do it every day because we’re kids, and our parents don’t need to treat us like robots," said Isaiah, sitting next to his brothers in matching Yummy Brothers attire. On the business side of things, Yummy Brothers have sold over 400,000 cookies, making a decent amount doing so. "I like to make money," Micah quipped. With the profits they have received from cookie sales they have started another business called, Kidpreneurexpo, which allows other kids to start businesses. Of course, they also pay taxes and use the funding for travel expenses, hotel expenses, tents and clothing merchandise. So, here’s to four young boys, who will one day, be four young men, who already know education, hard work, dedication and family is a great recipe for success.